A cop burned by love falls for a key witness in a crime implicating the town's rich and powerful. Lifestyle magazine editor Heather McAlister was in the wrong place at the wrong time. What she saw sends her faith and life into a tailspin. As a key witness in a crime shaking the roots of the town's power brokers, doing the right thing may cost her everything. Including her life. Detective Kyle Taylor is in the midst of solving the town's worst crime spree, a case that cold make or break his career, when the woman he thinks he might have a future with witnesses a gang initiation gone wrong before they can finish their first date. He has spent his entire adult life protecting his hometown. Now he's protecting a woman he'll risk everything to save. With more than their future at risk, they must discern betrayal from trust, image from truth while avoiding a danger closer than they think. 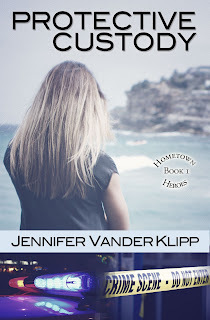 This is my second novel from Vander Klipp and I continue to be impressed with her writing.--Kelly T.
Add this book to your must-read list!—Regina F.
~Great Book, Jennifer! Kept me on the edge of my seat!! ~You have an awesome cover.The book sounds great. ~In love with Jennifer's writings!!! ~Enjoying so many new titles from amazing authors that pour their hearts in to their work. However I have to say that Protective Custody is a nail biter beginning to end. I could not put it down. Kudos to Jennifer Vander Klipp. Looking forward to more great reads from her. 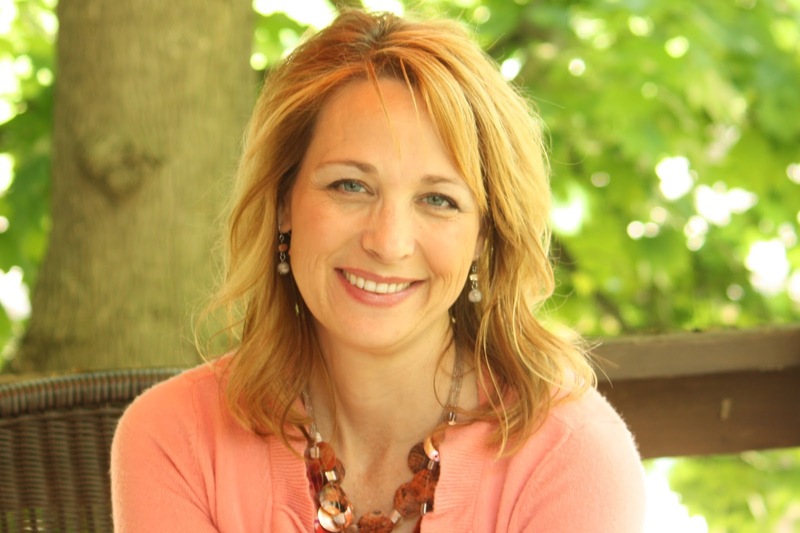 ~I like suspense like Jennifer VanderKlipp writes! I make beauty from neglect, order from chaos. I like fixing messes! teens while battling my daughter’s juvenile arthritis, exploring the delights of my son’s autism, and keeping gluten free. A California native transplanted to the Midwest, my favorite thing is discovering with my husband how much there is to love about seasons, snow, and the delight that is Michigan. Promise Me is a prequel novella to Protective Custody, and it is releasing in May. With the same great setting as Protective Custody, (Orange County, California) this story focuses on Cait Bellamy and Grayson Kendall, who make brief appearances in Protective Custody. But we also get introduced to the stars of Protective Custody, Detective Kyle Taylor and Heather McAlistair. Marketing director for Samashima Family Farms Cait Bellamy, on a break from the endless restoration of her farmhouse, witnesses potentially-devastating vandalism at the farm. Car restoration hobbiest and real estate attorney Grayson Kendall finds himself intrigued by the happenings at the farm which seem to be related to his latest real estate development. He does some digging, unknowingly putting Cait and her beloved farmhouse in danger. Can they both learn trust each other and create something new out of the wreckage their pasts while trying to discover who wants to put the farm out of business? Congratulations, Jennifer, on winning the Clash! Your book sounds excellent! Thanks, Brenda! It was a fun experience! Vote on These Springtime Reads!